With Our Web And App Products. OrderEm gives you all the technology products you need to compete in today’s internet and mobile economy. With more and more people interacting online, word of mouth spreads faster than ever before - are you in the conversation? Is your website making money for you? Most sites are a convenient source of information for customers, but don't directly earn any business. Adding online ordering changes that. Our sites are also responsive, designed with mobile devices in mind, and search-engine optimized (SEO) to help bring you to the top of the search results. Check out our Custom Website Page for more details. Top chains invest millions on custom apps for their customers. 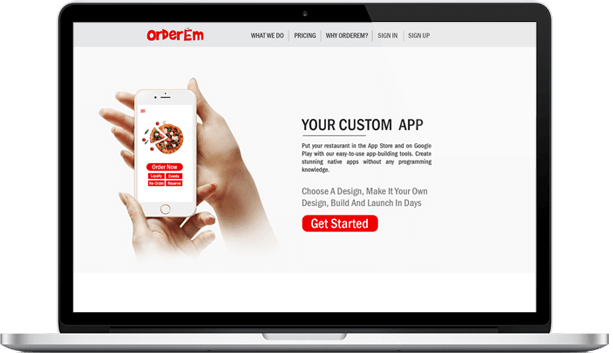 With OrderEm, you can have the value of the app without the expense of development. With an app, you can connect with your customers like never before. Create surveys, send push notifications, even build your own customer loyalty program. Check out our Custom App Page for more details. When your fans share their order details, you tap into new networks of potential customers. 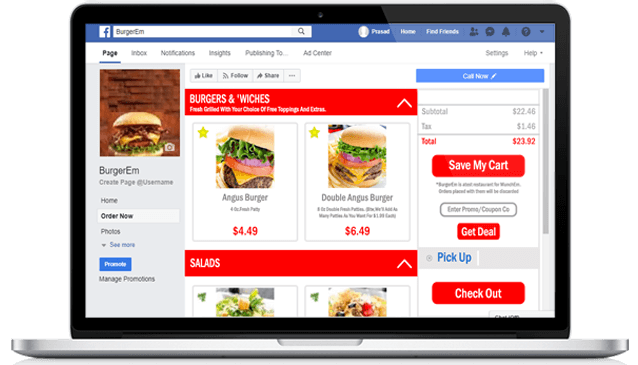 Capitalize on your social media popularity with Facebook ordering. Visit our Facebook Ordering Page for more details. Being discovered isn't just about being the best, you also have to be seen. We list your restaurant in our marketplace-style app (MunchEm) when you sign up for a custom app, website, or Facebook ordering. Users will find your restaurant when they search for places to eat in your area. Check out our MunchEm Page for more details. © Copyright 2013-2018 by OrderEm, a division of MunchEm, Inc. - All Rights Reserved.